The question now is how the Cybersecurity Solarium will approach its task and what it might take on. Though the new Solarium was approved as part of the fiscal year 2019 National Defense Authorization Act (NDAA) it’s mandate is not strictly military. The fact sheet issued by Sasse’s office says the group will work to protect the U.S. political system and innovation base as well as its national security industrial sector. Those sectors depend directly or indirectly on the timing data supplied by the GPS signal. 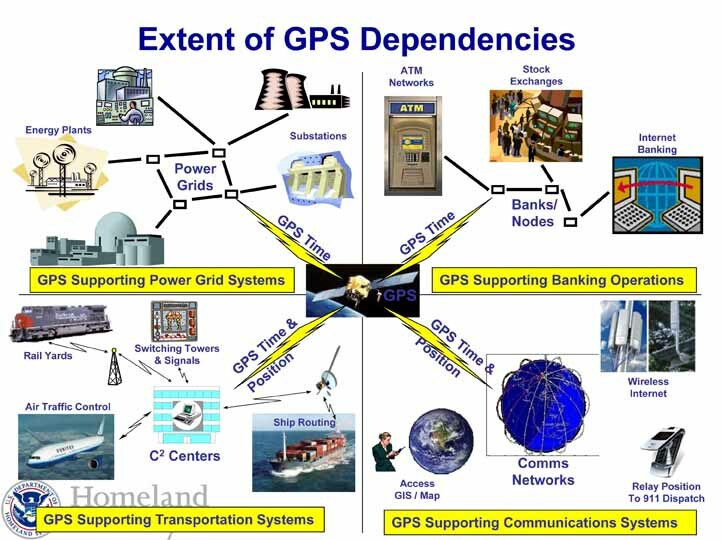 Though not itself considered critical infrastructure the GPS system was deemed by the Department of Homeland Security to be a “cross-sector dependency” for 13 of the nation’s 16 critical infrastructure sectors. The three remaining sectors also had some dependence. That shift may be due to the growing realization that GPS provides more than just location and navigation capability. It also provides consistent, global, extremely accurate time. A lot of the U.S. security industrial sector and the American innovation base rely on data centers, many of them in disparate parts of the world but networked together and synchronized by GPS-supplied time. The systems use GPS to derive UTC time, he said, and UTC is what goes, for example, into the time logs with which data center managers can map and trouble shoot activity across an entire network. “If you’re an IT (information technology) guy and you’re in the data center, you may have racks of equipment running hundreds or thousands of virtual machines. If anything goes wrong really the only place you have to turn to, to help start sorting out the problem, are the log files,” Skoog said. And the logs are about more than trouble shooting server problems. Though it will not ultimately prevent an IT team from tracking the path of a hacker in their system, spoofing the GPS signal at a location being used to access or transit the network “certainly would impact the real-time ability to properly diagnose it,” Skoog said. “You are globally vulnerable from the time perspective—because you’re using time to diagnose what happened,” said Skoog, whose firm sells a firewall that specifically monitors the GPS signal for anomalies that are the telltale signs of spoofing. Timing is also used, Skoog said, to protect a system from unauthorized users by, for example, only allowing access in narrow windows of time. Users would have to know the time of the access widow in advance. Also, having narrow windows reduces the chance of a replay attack where a legitimate packet of information is captured, altered and resubmitted. Throwing the time off would most likely be the result of GPS spoofing. While jamming actually blocks the signal altogether it could cause time log problems indirectly. Most systems will have a timing backup of some kind, likely some kind of clock. With the exception of the very expensive cesium clocks these backups drift and must be reset at some point using the GPS signal to maintain sufficient accuracy. Without a reset the communications between the data centers can be impaired or cut when the synchronization drifts too far off, those who spoke to Inside GNSS agreed. Even legacy centers—that is data centers with older systems that do not use GPS because retrofitting does not make business sense—can fall prey to GPS problems. Created as part of the John S. McCain National Defense Authorization Act for Fiscal Year 2019, the Commission will have 13 members including the principal deputy director of national intelligence, the deputy secretary of homeland security and the deputy secretary of defense. Three members will be appointed by the majority leader of the Senate and two will be appointed by the minority leader of the Senate. Of these each leader gets to pick one member of the Senate with the others being experts. The speaker and the minority leader of the House of Representatives get a similar allotment of five with two being members of the House. The Commission, which will have subpoena power, must submit its findings by Sept 1, 2019. The cybersecurity of the GPS satellite system and its ground stations has long been a top priority. Raytheon, the prime contractor for the new GPS next-generation operational control system or GPS OCX has been working to incorporateinformation assurance standard DODI 8500.2, without waivers, giving the system “the highest level of cybersecurity protections of any DOD space system,” Raytheon said in a March statement.Though that effort has thrown the program seriously off schedule and over budget the Air Force has stuck with it due, in part, to the importance of those tighter standards. Satellite contractor Lockheed Martin is taking an equally serious approach.